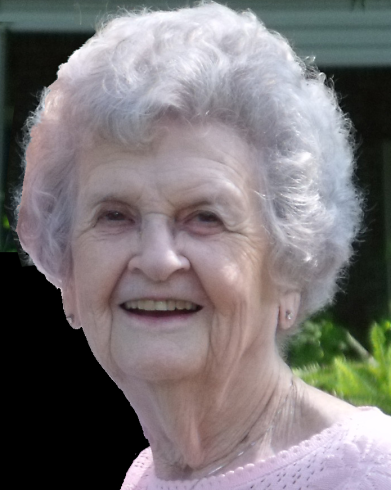 Evelynn “Whitie" Bisplinghoff, 95, passed away Monday, Feb. 12, 2019. Whitie died at home in Tuscaloosa, Alabama following a brief illness. Whitie was born on May 25, 1923, in Birmingham, Alabama. She graduated from Rossville High School in Rossville, Georgia. She was a member of Trinity Presbyterian Church in Chattanooga, Tn. She was preceded in death by her husband, E.B. “Buck” Bisplinghoff; parents, Shelton L. and Lura Nelson; twin sister, Ethlynn “Blackie” Jones; sisters Francis Bates and Marion Nelson; and brother, Thomas Nelson. Whitie and Buck worked in the shoe industry selling and working trade shows throughout the southeast. Whitie also loved spending time in her kitchen cooking for family and friends. Survivors include her children; son, Shelton (Doris) Mavity, of Warner Robbins, Ga.; daughters, Jane (Tommy) McGraw, of Tuscaloosa, Ala., and Coby (Bob) Palmer, of Portland, Tenn.; three grandchildren, Breanna (Joe) Yeager, of Nashville, Tenn.; and Bob (Kathy) Mavity and Paul Mavity, both of Macon, Ga.; and five great-grandchildren. Visitation will be held from 11:00 a.m. - 12:30 p.m. Friday, Feb. 15, at Heritage Funeral Home Chapel, 3239 Battlefield Parkway, Fort Oglethorpe, Ga. A graveside service will be held at 1:00 p.m. at the Tennessee-Georgia Memorial Park, 724 Hogan Road, in Rossville, Ga.